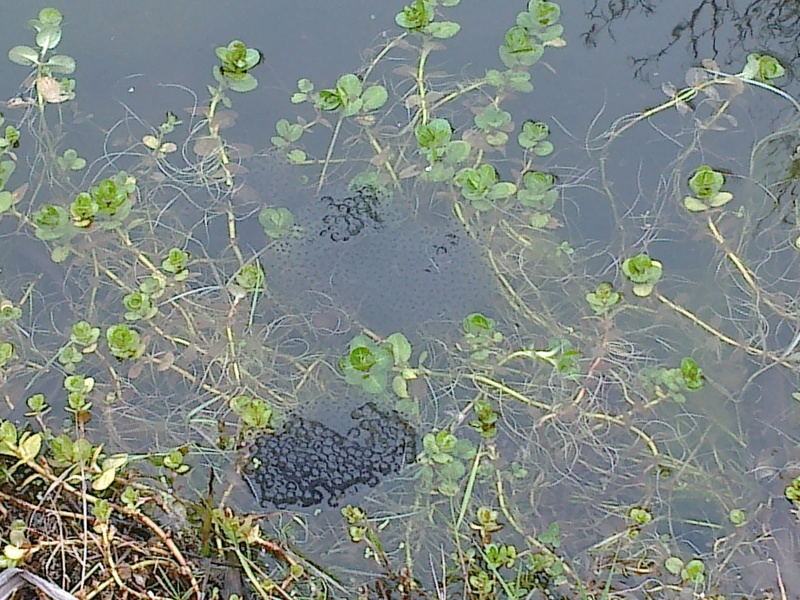 On tuesday we were hoping for frog spawn by the end of the week and this morning there it was.Two large masses of spawn where spotted in the pond this morning. Along with the spawn were two pairs of frogs. 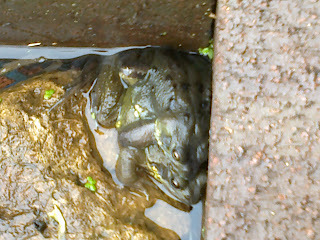 One pair was swimming around by the pond dipping platform and another pair were cuddled up in the frog house. Photographs taken with phone as the golden rule was broken- no camera in the car! 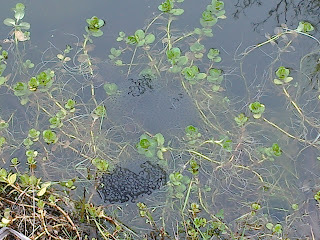 Hopefully by the end of the week there will be even more frog spawn and we can again watch the wonderful process of metamorphosis.